We finally left Triton Bay, headed north, on June 29. 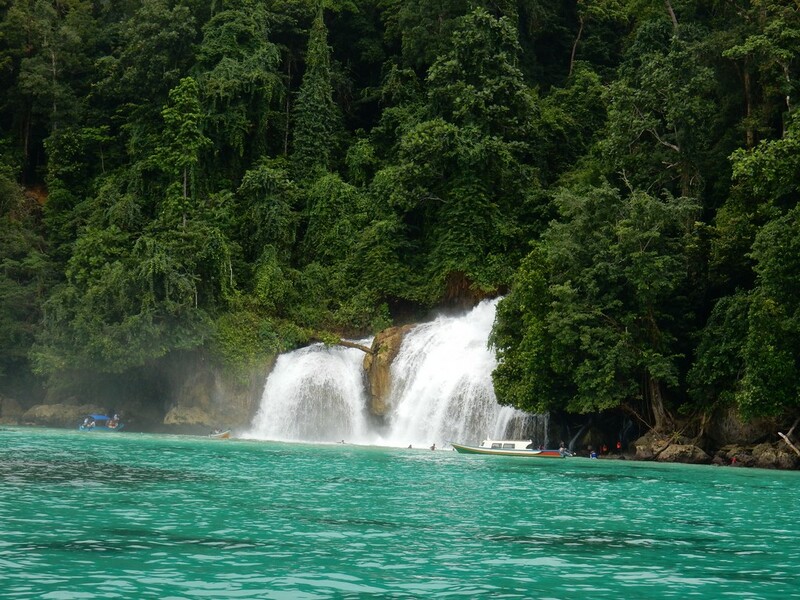 Our first stop was "Waterfall Bay", 45 nm northwest of our jumping off point of Blumpot Bay in NW Adi Island. 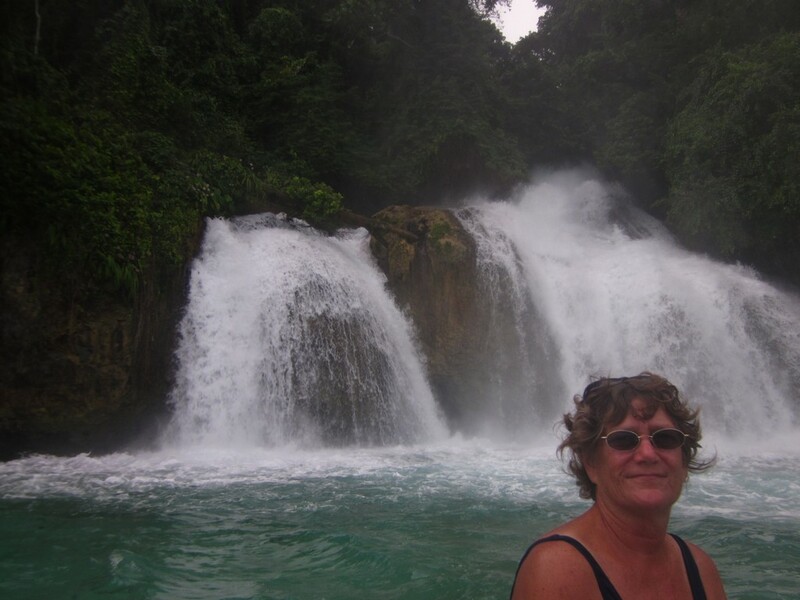 Friends had told us this was a very cool stop, because you can anchor right next to the waterfall that falls down into the ocean. 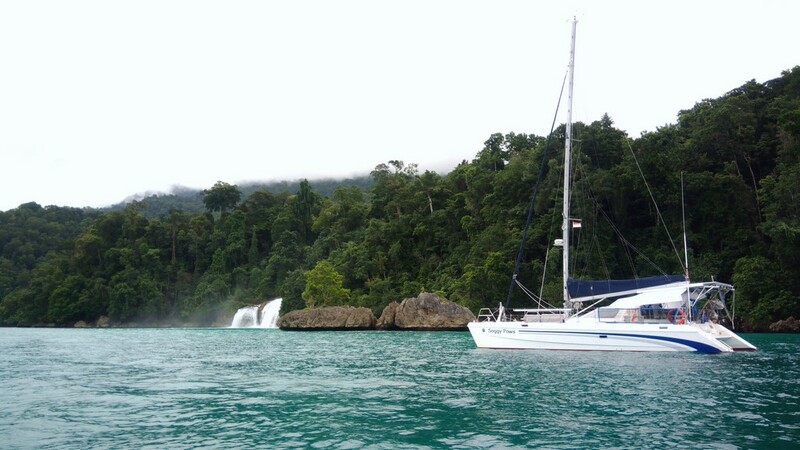 Because it was SW monsoon season, this "off the waterfall" stop was probably not a viable overnight anchorage. 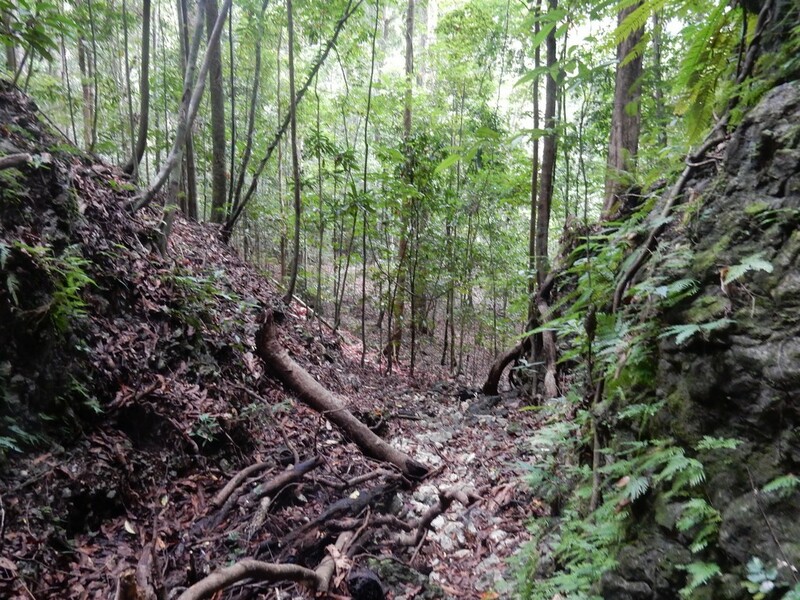 But we had a potential anchor spot scouted by Ocelot, tucked up in the point near the waterfall. We left early and made good time for about 3/4 of the way, but finally the wind died and we had to motor in. Fortunately, we arrived mid-afternoon and had plenty of time to look around. The potential anchor spot recommended by Ocelot was too constricted in our opinion--in a cut with fast flowing current in fairly shallow water. We backed out and started looking around. We ended up spending about 2 hours poking around. 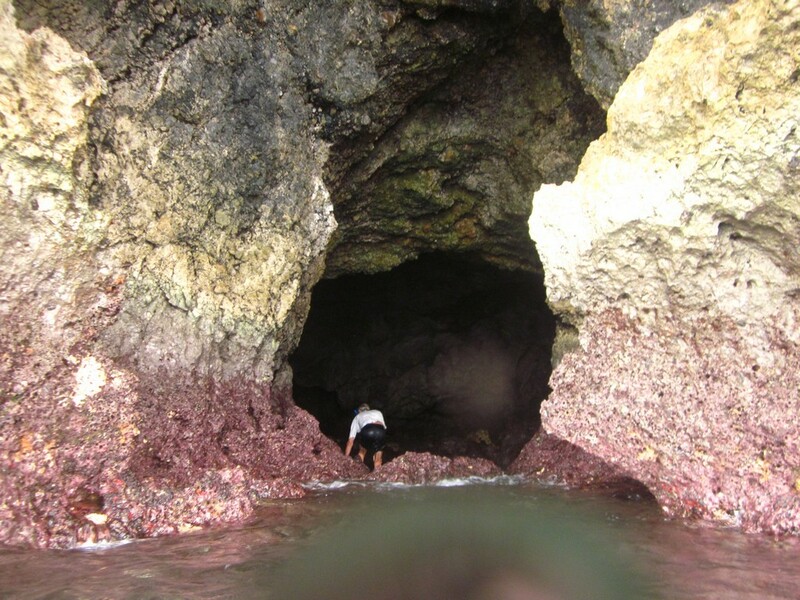 Everything we found was (typical in Indonesia), either too shallow or too deep, or too constricted by rocks/reefs. 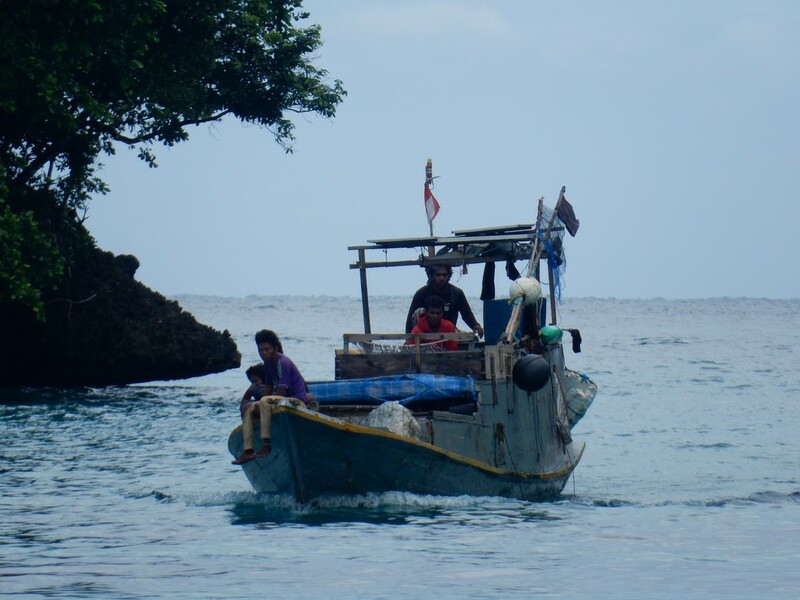 To complicate matters, there were a couple of fishing boats anchored around, and being by ourselves, we were a little leery of anchoring too close to them (security issues). We ended up anchoring at 03 55.27 S / 132 48.91 E in about 65 ft of water. There was some current here, but not too intimidating, and usually flowing out the cut, so we hung toward the west. We backed down hard because our stern was in about 10 ft, and there were a few coral heads nearby. But we had pretty good swinging room. The wind was pretty calm, so we felt pretty safe in these tight quarters. In NE wind season, anchoring outside, to the west of this spot, would be a better anchorage, as there's a big sand spot there. There is no cell phone signal in this bay. And the fishermen never bothered us--they seemed to anchor and sleep during the day and leave to go fishing at night. 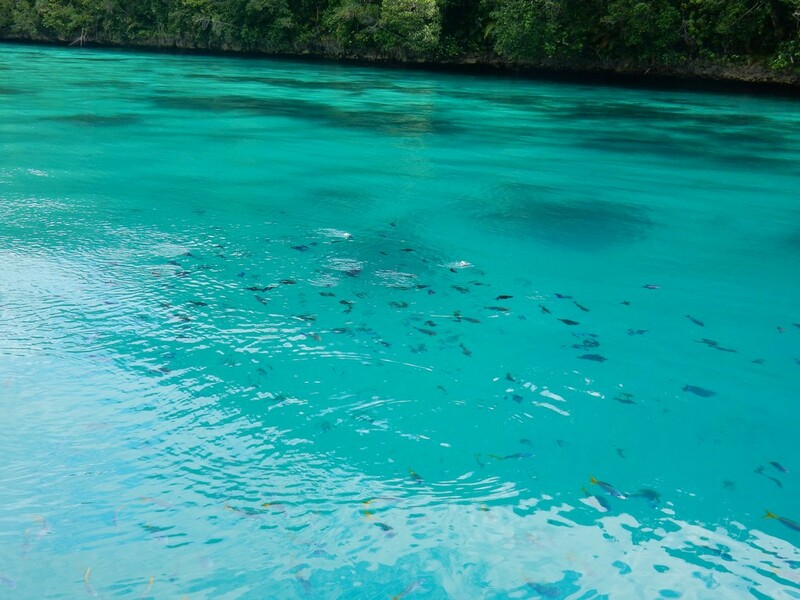 There were tons of small fish swimming around our boat. I tried fishing for them with some shrimp on a small hook, but they always managed to steal the shrimp and not get hooked. But kept me entertained for awhile. We spent the next two days enjoying the clear water and exploring around the bay. While Dave did maintenance, I scrubbed the bottom of the boat (something we didn't want to do in the potentially crocky river waters). We took Soggy Paws over to the waterfall and anchored in a beautiful sand spot just off the waterfall (03-53.45 S / 132-29.30 E), and then dinghied over to the waterfall and snorkeled around. 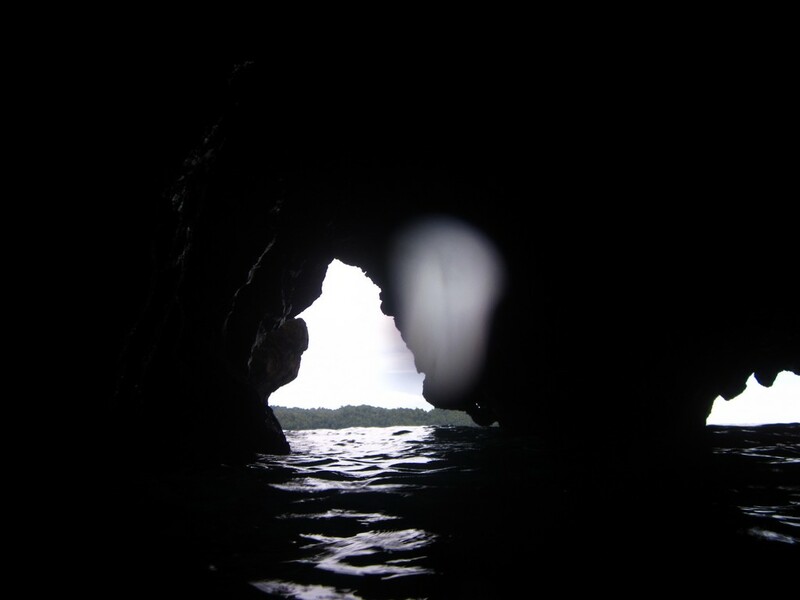 We also explored in the dinghy along the wall SE of the waterfall, and found some nice snorkeling and some caves. 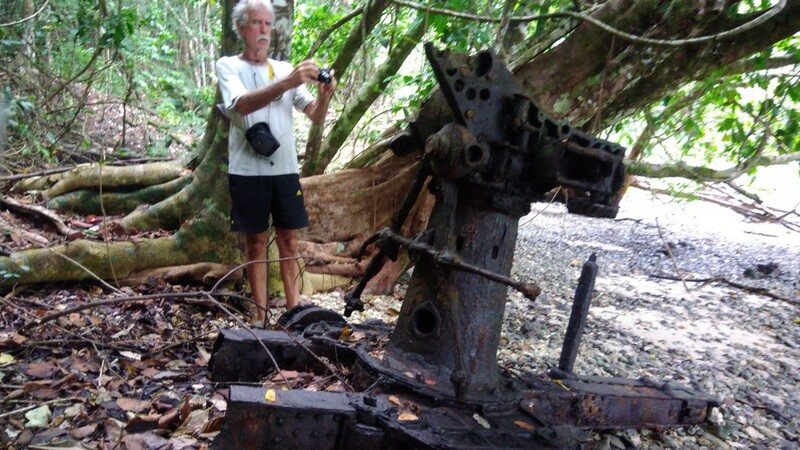 Then we picked up anchor and went looking for the "World War II Gun Emplacement" waypoint that someone had given us. We needed to make water, so slowly motored around the rim of the bay. Dave even took off in the dinghy for a half an hour while I motored around in racetrack mode waiting for him. Alas, when we arrived at the bottom end of the bay, there was no gun emplacement there. We later discovered that this whole set of waypoints for the Misool area that a friend had given us was mostly inaccurate (whether deliberately, just sloppily done, or whether taken off an inaccurate chart, we don't know). 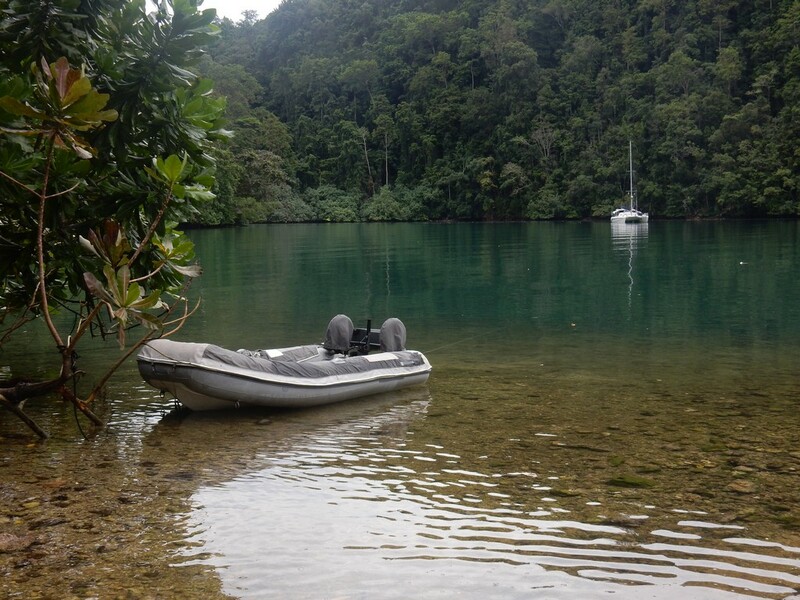 After an hour of slowly poking around in Soggy Paws, we finally anchored the big boat and set out in the dinghy. 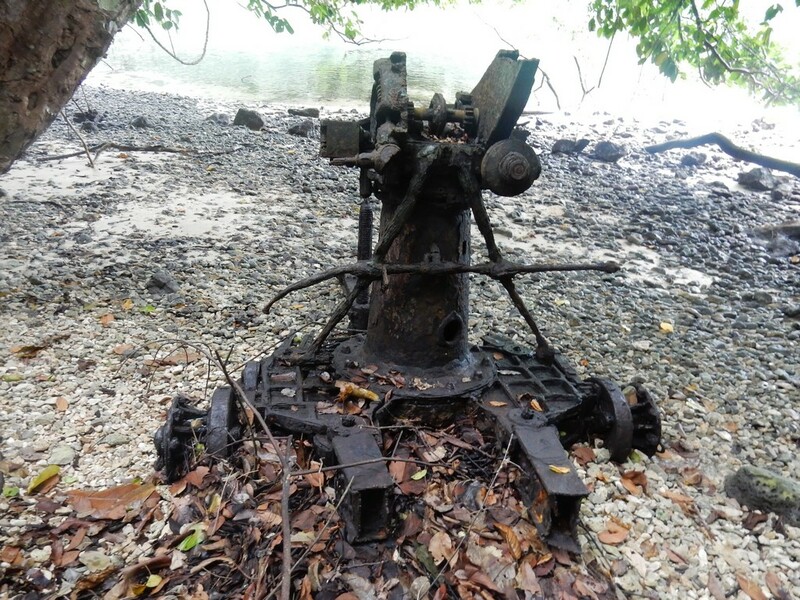 After carefully combing the shoreline, and doing some bush-whacking, we finally found some remnants of a WWII gun, but only the carriages--looks like someone had carried off the barrels of the guns. This anchorage (03 57.32 S / 132 50.65 E) is in fairly shallow mud/sand and well protected from the E, S, and W. If you were expecting a big blow from the south, this would be a good hidey-hole. 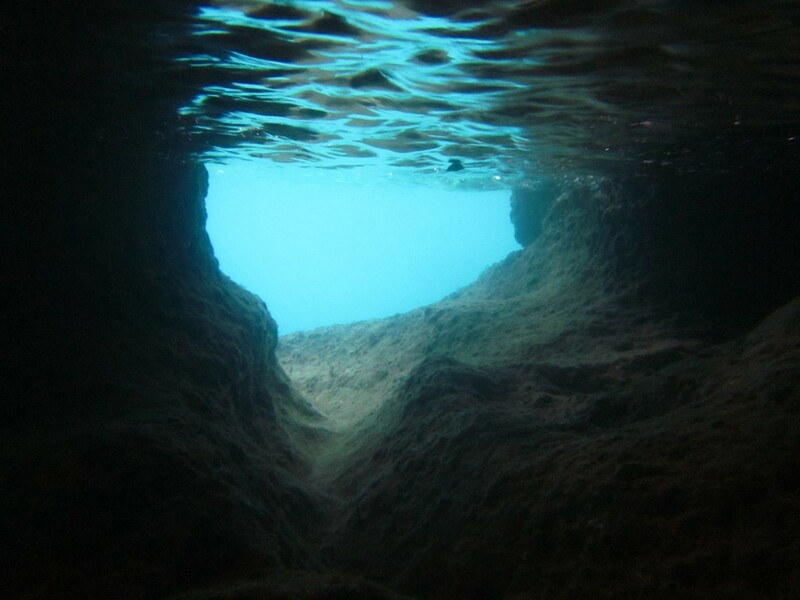 But go in slowly, and not too far, as there is a very shallow hard-to-see reef in the very bottom of the bay. I think we were in about 10-15 feet. Even for a WWII buff, these "gun emplacements" were not very exciting. We almost spent the night here, but were a little worried about bugs and no wind, so we scurried back to our original anchorage. The next morning, we headed further north.